Join Jason King, Chief Engineer Integral Powertrain Ltd, when he presents at this year’s Cenex-LCV within the Seminar Dome at 16:20 on the 6th September. 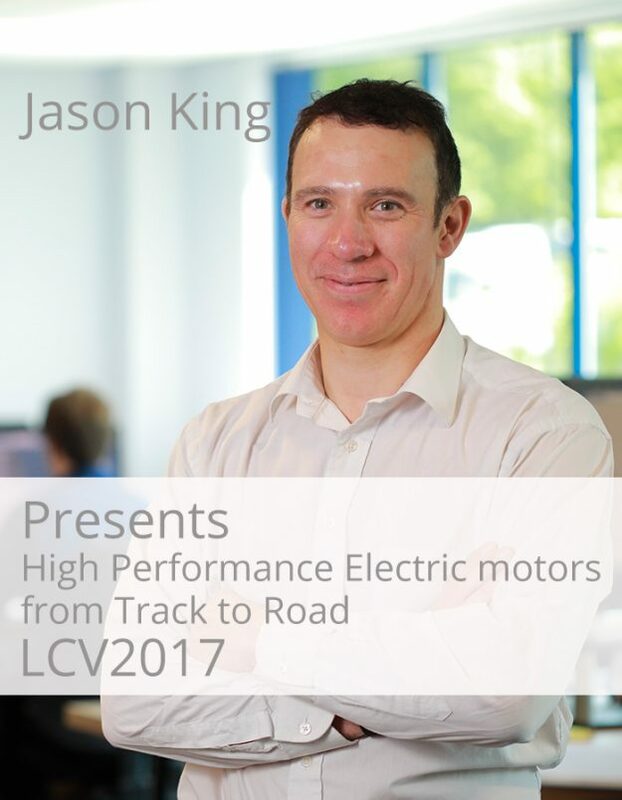 Jason King will be presenting: High Performance Electric motors from Track to Road. Integral e-Drive, the e-Drives division of Integral Powertrain Lts is widely recognised for their leading electric motor technologies, especially in motorsport. They will present, in the person of Jason, under the ‘Accelerating Energy Efficiency through Motorsport’ theme. Jason’s presentation will include an insightful review of the history of electrification in motorsport up to the present day, highlighting the impact of a selection of electric motor topologies on power density, a key performance metric. He will also consider the additional requirements needed to take the plethora of motors playing bit parts in racing today to construct a highly competitive all-electric race car of tomorrow. To conclude his tour of the modern high performance electric motor he discusses how the lessons learnt to achieve victory on the track are being fine-tuned to meet the cost, durability and performance requirements of next generation road cars. Thus the impetus delivered by competition creates a better all-round solution than current motors seen in Battery Electric Vehicle’s today enabling step change innovation. After graduation in 1992, Jason started his professional career at Perkins Engines, and then this was followed by 9 years at Cosworth from 1997 to 2006. A short spell at Tata Motor European Technical Centre was followed by 7 years at Ricardo UK as one of the Chief Engineers in both the Hybrid & Electric Systems and Engines Product Groups, leading the Innovate UK mild hybrid ADEPT and HyBoost projects amongst others. Since joining Integral Powertrain Ltd in 2014 he has been responsible for multi electric motor design and development projects. Integral Powertrain has world leading capability in electric machines, hybridisation and boosting technology.